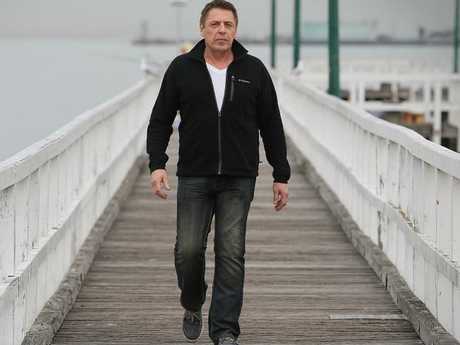 GEELONG champion Paul Chapman has hit back at claims Mark Thompson had a widely known drugs problem during his coaching career at the Cats. Thompson will return to court on May 25 to respond to a series of drugs charges, including trafficking and possession. Chapman, 36, who won two of his three premierships with Thompson as senior coach, has denied accusations Geelong needs to accept responsibility for failing to help Thompson. 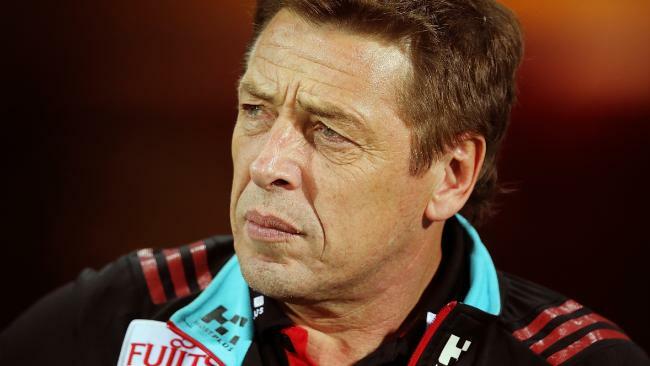 It comes after former St Kilda coach Grant Thomas sensationally claimed senior AFL figures had turned a blind eye when Thompson "was on some gear" as early as 2006. Former AFL Coaches Association president Danny Frawley revealed on Friday that he walked away from the panel of advisers responsible for selecting James Hird's replacement as senior coach at Essendon over concerns for Thompson's health and wellbeing. Also on Friday, Chapman said it was not true that Thompson had a noticeable problem during his coaching tenure at Geelong - suggesting Thompson's alleged drugs connection was fuelled by the Bombers' own supplements saga and a $30,000 fine Thompson received from the AFL for his role in the club's 2012 injections program. He told K Rock during its coverage of Geelong's Friday night win over GWS that he had seen many claims about Thompson in the past week that were not correct. "It's a sad thing to see but some of the stories I've heard out there are really poor - it's like kicking a bloke while he's down," Chapman said. "There are stories out there that people heard it was happening back in the 2000s when he was in his early days at Geelong, and that just can't be right. "This is a man who gave himself to the Geelong Football Club, who was a father figure to a lot of us, who shaped us not just as players but as people as well, so to hear people say that, it's just not right. "I think he needs help from this Essendon stuff and I hope he gets the help he needs, and it is just a really sad situation to see him in and … I think people need to hold judgment until the full story comes out." 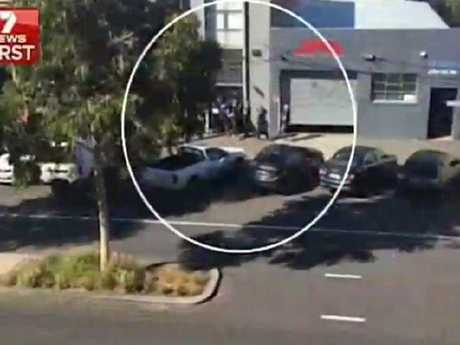 Chapman also revealed he met Thompson just two days before his Port Melbourne property was raided by police investigating a drug trafficking ring. 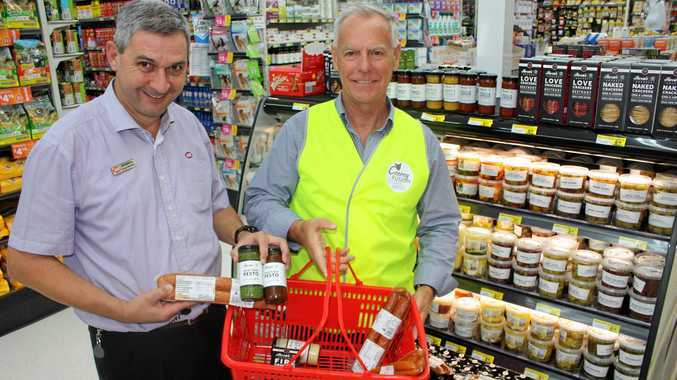 He said it was obvious that Essendon's supplement saga took a significant toll on Thompson. "I actually caught up with him two days before it all sort of went down and from my point of view I feel sorry for him," he said. "It's a bad situation that he finds himself in but there is no doubt that the Essendon stuff that he went through and the Essendon players went through … has really got to him. "I think he's really upset at that situation and you can see by how he holds himself, and whether he is depressed or not, I'm not too sure, but he's definitely not in a good place." Cats premiership captain Cameron Ling also said he was shocked to learn of the charges against Thompson. "Absolutely it did (surprise me)," Ling said on Channel 7. "It was a shock and it was one that I found quite confronting because he is and always will be my senior coach. "I'd started to hear rumblings about using illicit substances, but I never thought it would come to this, I honestly didn't. Call me naive. Call me stupid. Call me anything you like, but this is a bloke who, even when I run into him I still feel like I'm that 18-year-old kid who's just been drafted and he's my senior coach. "It's a strange feeling and I'm really disappointed it's come to this." Hird also hit out the lack of support Thompson received during and following the supplements saga legal battles. Hird said he met with Thompson on Wednesday, a day after his former Essendon teammate and fellow coach was charged with drug offences, including trafficking and possession. The AFL suspended Hird for 12 months because of the disastrous supplements program at the club. Thompson was caretaker coach in 2014 as Hird served his suspension. Hird returned, but quit the role towards the end of the 2015 season. Thompson and Hird are Essendon premiership captains. Speaking on the Crawf and Hirdy podcast, Hird said he, Thompson, football boss Danny Corcoran and club doctor Bruce Reid received little support at the height of the scandal. "They weren't (offering any support). The people inside the club at the time were not about supporting emotionally the people who were going through those times," Hird said. "The president left, we had three CEOs in the space of six months, we had HR people go. "It was really us - myself, 'Bomber', Danny Corcoran, Bruce Reid and some other staff. We weren't equipped to deal with it. Police raid the property of Mark Thompson. "Hopefully, we got the players through, but 'Bomber' and myself, we didn't get through, and I know Danny has had his (tough) times as well." Hird took an overdose of sleeping pills early last year as he struggled with depression. He said Thompson was determined to work through his problems. "He's pretty determined to obviously get himself in a good place again and good on him for that," Hird said. "My issues have been well documented and now he is going through something that, hopefully, he can get through and that it doesn't go any further. "We all thought he had a problem in that area, personally, but no one thought that it was any more than that. "From Bomber's point of view, there is only one person who can turn his life around. A lot of people are there to help him ... but he also needs to take some responsibility himself and say: 'I am going to get myself right'." The scandal led to 34 current and former Essendon players being suspended for anti-doping offences. Hird was coach and Thompson was one of his assistants at the time of Essendon's supplements program. Just over a year ago, Thompson spoke of his ongoing bitterness about the scandal and its aftermath. "It just sits in my guts and churns and it still does and it's going to probably end up killing me because I can't let it go," he said. "People tell me I've got to let it go, but I can't."